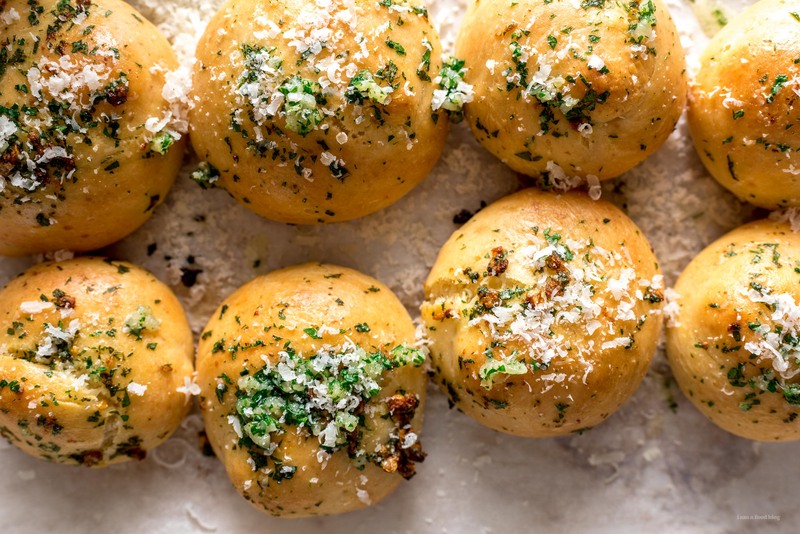 A garlic parmesan knots recipe that's a keeper! 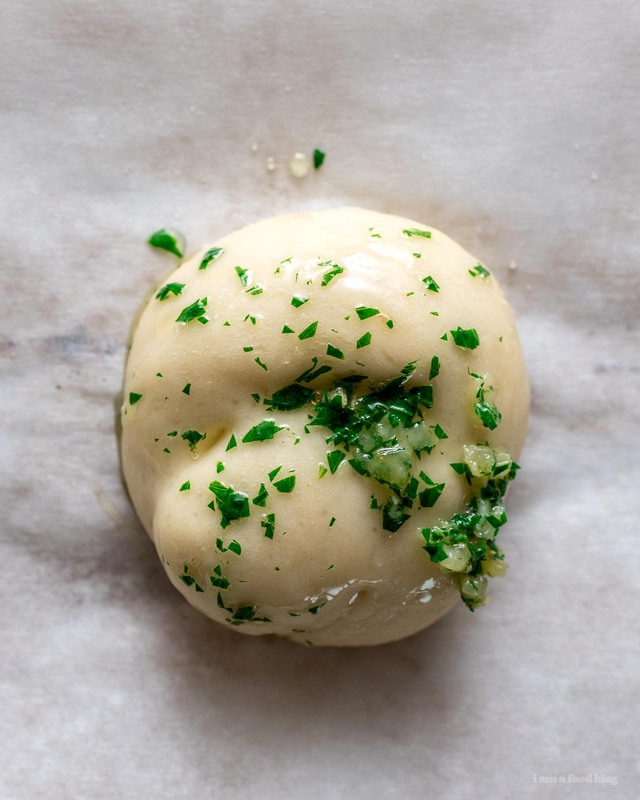 You can make the dough from scratch or use store bought, either way, these knots are addictive. Warm garlic knots fresh from the oven should be a controlled substance. I can inhale an entire tray, even when I’m eating them alongside something like this delicious bolognese with pasta. 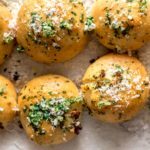 I made the knots from scratch here, but you can easily use store bought pizza dough for somewhat immediate results. 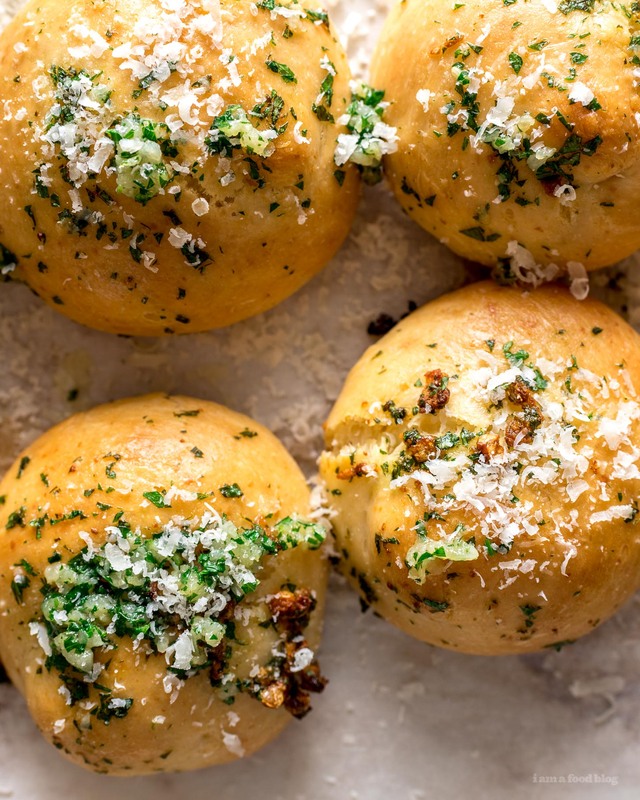 Garlic knots forever! In a large bowl, combine the water, oil, salt, sugar, and yeast. Stir in the flour, cover and proof until doubled, 1-2 hours. Place the dough in the fridge and chill for 15 minutes or so, so the dough is easier to handle. Alternatively, you can easily use store-bought pizza dough for this recipe. Divide dough into 4 equal pieces, rolling out each piece into a rectangle. Cut into even strips. Tie strips into knots, brush with oil, cover with plastic and let rise until doubled, 1 hour. While the knots are rising, melt the butter, add garlic and cook, stirring occasionally, until just soft but not brown, about 2-3 minutes. Remove from heat and stir in the parsley and 2 tablespoons oil. Season generously with salt. Brush the knots with the garlic butter and bake until golden brown, 13-15 minutes. You should have some garlic butter left over – save it to brush on after the knots are done baking. When the knots are brown, remove from the oven and let cool slightly. Top with extra butter (if you have it) grate on the parmesan and enjoy warm! Yum! Looks amazing! I need those in my life.